North Ringwood Head Coach Peter Banfield and President Scott Eade have been very active since the end of Saints Season Sixteen chasing recruits to bolster our teams and assist in our progress up the ledder of Division One EFl. Aaron Johns: 25 years of Age: 6ft Inside Running Mid fielder. Aaron has played over 50 Division 1 EFL games at Rowville after playing at Box Hill in the VFL for a number of Years. Aaron has great fitness and speed and will a great acquisition to the club with his experience and ball winning ability. Josh Ralph: 24 Years of Age: 6ft 3. Booming left foot kick and a very classy player. Josh plays in the ruck and down back. Josh has been recruited from the Blackburn Football club where he has played close to 5O Senior games. Great Reader of the game and who will add a lot of experience and knowledge to the playing group. Tom McDermott: 26 Years of Age 5ft 10. Tom is a proven goal kicking small forward who has been recruited from the Meeniyan Dumbalk United Football Netball Club in the Alberton Fl. Tom has great skills on both sides of the body and oozes class. He has consistently kicked over 20 goals in the past 5 years. He will be a really good player for us this year. Harry Haley: 24 Years of Age 5ft 11. Inside Mid who has been recruited from the De La Salle FC. Harry has played 50 Senior Games at De la Salle and runs hard and straight at the ball. He has been good inside mid and can play down back. Harry will bring some real toughness to the club this year. Mark Griffiths: 27Years of Age. 5ft 11. Mark is a big bodied mid who is a really good accountable player and is a very experienced player. Mark played at Frankston Football club in 2016 and has played over 50 senior EFL GAMES. Mark has a great ability to play on good players and is a brut of a player who loves getting in the face of the opposition. Sam Banfield: 22 Years of Age. 6ft 1. Sam is a left footer who has played at the Dandenong Stingrays and the Sandringham football club in the VFL. Sam is a very smart player who kicks goals up forward and a very good clearance player. Sam has played close to 35 senior Division 1 games and will be a great asset to the club. Jack Gava: 22 years of Age. 6ft 1. Jack is a right footer and has come from the De La Salle Football Club. Jack is a defender who beats players 1-1. Jack is an enormous running machine who loves a contest. Jack didn’t play footy in 2016, but he played 3 senior games for De La Salle in 2015.Jack will be a very good player for us once he settles in. To all supporters, I have been able to recruit a really good mix of players and people to the club this year. These players have all played VFL and Senior football at a really high level. My job is to get them fit, integrate them into the club and really push and drive the rest of the playing group. Personally speaking to, all of these new players, they all want to play well and play senior football. They are all different players, and play in different positions. Added to these recruits are Sam Whelan and Matthew Payne coming back from overseas. So far numbers to training have been outstanding. I am still confident of bringing in 1-2 more recruits to play CHF. As I said at the end of last year. We need to recruit, we need depth and we need all sides to get better and win games. Players that don’t train won’t get games in 2017. 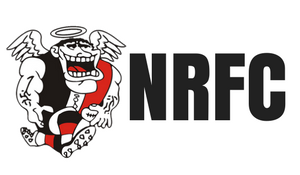 Reminder: All members are invited to attend NRFC Annual General Meeting, Tuesday December 6, 7.30 PM at the North Ringwood Junior Football Club ground, corner Wonga & Oban Roads North Ringwood.